Telling a story is something video games have attempted to do since their inception. For years, people have worked tirelessly on providing a narrative through-line within their projects. However, one genre that has avoided this is sports. It has never seemed possible to integrate a story into a game so focused on athletic competition. This year, that has changed in NBA 2K16, which has been decreed a “Spike Lee joint.” The NBA 2K series has always been considered one of the best sports franchises, and this go-around 2K proved they are more than willing to take a few risks. The Spike Lee influence comes across in the MyPlayer mode, where previously you would create a superstar, be drafted, and improve your skillset on the way to winning an NBA championship. For the most part, that basic premise still exists, but now you get to experience a Spike Lee-directed story told through cutscenes that can last up to fifteen or twenty minutes. Once you create your own player, you are introduced to the three main characters of your journey. There is your sister, Cee-Cee, your best friend Vic Van Lier, and you, Frequency Vibrations. That, of course, is a nickname that you picked up during your youth, but it is what everyone will call you throughout the game. So while the back of your jersey will say whatever last name you want, you will consistently be called “Freq” at every turn. The first hour or so of the story is easily the most enjoyable part. You begin by selecting a high school and playing three games in hopes of achieving scholarship offers from major colleges. This high school ball is complete with small, intimate arenas that feature everything you would expect in a high school gym, such as repetitive cheerleaders and PA announcements about the upcoming parent-teacher meetings. It’s a very nice touch that really puts you into the moment, and that translates well when you head to college. In one of the more unique aspects of NBA 2K16, you get scholarship offers from a host of major basketball schools such as Villanova, Arizona, and UConn. There are some storied teams missing, such as Duke and Kentucky, but just seeing college clubs involved in an NBA 2K game is almost mind-bending. Once you pick a school, you play a few games in some well-crafted college arenas. After you go through your first season as a college basketball player, one of the biggest issues about MyCareer begins to arise: There is a serious lack of choice in basically every aspect of the actual story. As you finish your season, you see a cutscene with your possible agent, parents, sister, etc. all arguing about whether or not you should leave school early or stay another year in college. The scene concludes with your dad saying the decision is all up to you. From there, you go straight to the draft, with no prompt or decision by the player. It feels like the story was crafted with different branching paths in mind, ones that would be formed based on your decisions, but it was scrapped at the last moment. This makes the personal aspect of the mode feel distant. You never make your own decisions, although there are multiple points of the story where it feels like you should be deciding your fate. It acts as a huge oversight that could have helped this mode tremendously. Once you get into the NBA, you start experiencing some of the aforementioned lengthy cutscenes. You begin to see your player battle with a host of personal issues, such as the owner of your team not wanting you to hang around with Vic, your best friend. On top of that, your sister and your new girlfriend bicker incessantly, and your parents do not want to move out of Harlem. It’s a weird, interesting mixture of story topics that do bring about some intrigue. The story makes references to things like alcoholism, sexual diseases, and death, things you would not expect in a game rated E10+. Unfortunately, some of that intrigue wears off as the story progresses and it begins to devolve into a melodramatic mess. While the character interactions are not bad, the writing is heavy-handed and feels like a cheap Hallmark movie at times. That being said, the sheer existence of such a deep, multi-hour story mode in a video game is unique enough to gain some praise. It was a risky decision to make this the focus of NBA 2K16, and it slips up in some areas, but really succeeds in others. While it may not be as heart-rending as it wants to be, NBA 2K16’s MyPlayer truly is a one-of-a-kind mode. After you complete the Spike Lee story, you head into the second year of your NBA career. From here, the game opens up and allows you to play every game in the season, or simulate them all. You also get sponsorship deals, take part in practice, and interact with other players. These interactions and practice drills will help your overall rating, which is low coming off of your first season. The only issue is you can’t simulate games to get to those off days, you can only simulate to game days. That means in order to participate in these off day activities, you have to play a game. Which, due to you being a low overall and not getting a lot of minutes, is not fun. It’s a simple little addition that could have made the post-story content much more enjoyable. Despite that, the interactions and endorsements are a smart way to gain more points for making your character better; it just seems a step away from being a well-rounded mode. With MyCareer getting such a heavy focus, it was expected that MyGM might take a bit of a backseat. That rings true as it remains mostly unchanged from the previous year. The biggest new additions are the ability to relocate your team and play in Summer League games, neither of which make much of a difference. There has also been a bit of a UI overhaul, and it tends to look more cluttered than it did in previous years. With the lack of change comes the same incredible annoyances from the previous years such as the constant press conferences where you are asked the same questions (Player X has been in a bad mood here lately, how will you fix that? Would you ever consider trading Player X?) Multiple times. It is a horrible nuisance and makes the mode take up way more time than it should. How that was not nuked immediately after it was implemented is beyond me. The entire MyGM mode just seems like a rehash of an already mediocre mode, and as it ages that mediocrity grows into just plain bad. In the past few years, NBA 2K’s online has struggled. Server issues and complaints of lag have been mainstays. That seems to have been improved slightly this year, although it still doesn’t play perfectly. You can tell there is a small bit of lag when you try to hit a shot, as you have to let off the button earlier than normal to ensure you make the shot. It’s an annoying issue when you first hop online, but it is one you learn to deal with as time goes on. There is also a new ranking system based off your win-loss record. As you win more games, you will advance in your league. Without a doubt the best part of NBA 2K16 is its on-court gameplay. This has been the case for years, and it continues to be as 2K and Visual Concepts have refined their already wholly enjoyable gameplay by introducing new animations and a new “Living World” engine. This makes the actual movement feel more lifelike as you see taller guys go against smaller ones and react differently than they would if they were taking on a fellow 6-foot-6 player. There are also some new physics associated with the ball that help the overall feel of the game. While some of the surrounding features may not be strong, NBA 2K16 is easily the best playing basketball game in years. NBA 2K16 took some unexpected chances, and its uniqueness is respectable, even if the final product is far from perfect. The Spike Lee content is fun to burn through, and lasts as long as it should. The biggest issue is that there needs to be more player choice as it would have made the experience much more personable, as opposed to a detached, melodramatic tale woven together with surprisingly solid characters. Other features like MyGM need some serious work, and have continued to age poorly. All that being said, actually playing NBA 2K16 is still a ton of fun. 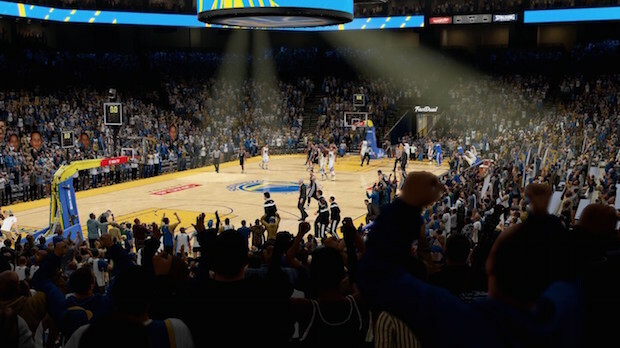 Similar to years past, NBA 2K16 continues to be one of the most technically sound sports games around, which will result in hours of playtime for fans of the sport.